This year's big Unpacked event focused as much on a new smartwatch and smart speaker as it did on Samsung's flagship extra-sized smartphone. Samsung's new Galaxy Note 9 features the company's biggest screen ever. This time, it wasn't just about the new smartphone. As expected, Samsung (SSNLF unveiled its new Galaxy Note 9 'phablet' at a live event held in New York City. But in contrast to its previous "Unpacked" events, Samsung spent comparatively less time discussing the new features of the Note 9, which include a larger 6.4-inch screen size, more memory, new features for its stylus pen, an all-day battery and improved graphics capabilities. Instead, Samsung focused on several other major new product introductions, as well as new partnerships with Epic Games and Spotify (SPOT . The new Galaxy smartwatch looks more like a traditional watch than most other smartwatches. The first new product was a new Galaxy smartwatch. 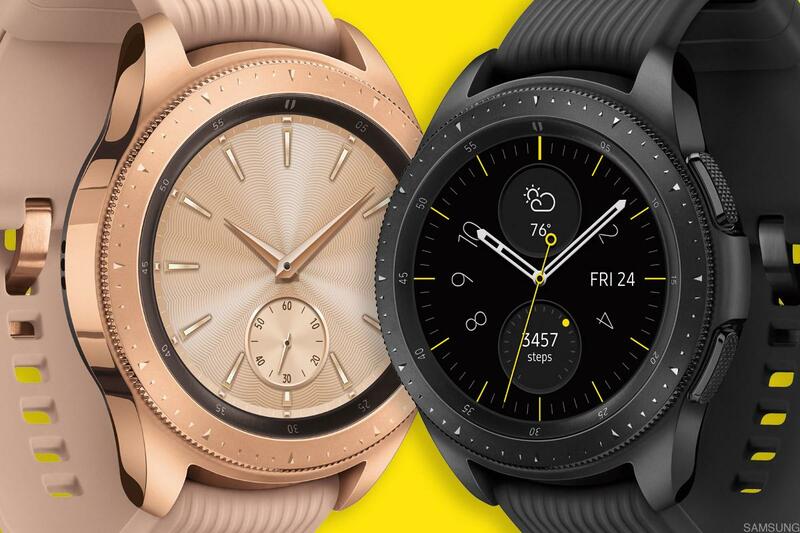 Samsung has released smartwatches before, but never one as full-featured and tied in to its smartphone and mobile ecosystem as the Galaxy watch. While it appeared to have many of the same scheduling, health and data features of the Apple Watch, the Galaxy watch has a large circular face and looks more like a traditional analog watch than the Apple Watch. Samsung also caught up in another important consumer tech category with the announcement of the Galaxy Home smart speaker, powered by its Bixby assistant that previously had already been added to its smartphones. 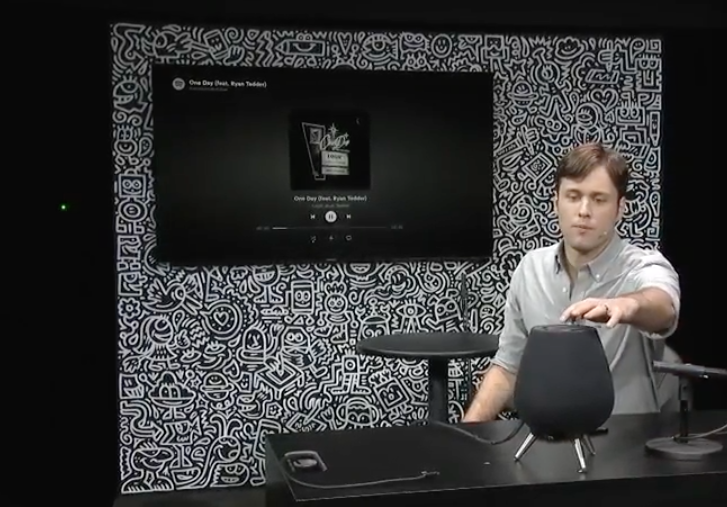 In contrast to smart speakers from Amazon (AMZN - Get Report) , Alphabet's Google (GOOGL - Get Report) and Apple (AAPL - Get Report) , the Galaxy Home rests on three metal spindles and looks like a small drum. The company said only that more details about the device would be released "soon." Samsung's new Galaxy Home smart speaker. Two other announcements made at Unpacked were a new partnership with Spotify to seamlessly stream music across Samsung products such as mobile devices, TVs and speakers, and the news that a long-awaited Android version of the incredibly popular game Fortnite would be coming to the Samsung Galaxy Note 9 first, with a beta version being released today. Pricing details for the new products were not announced at the event, but according to The Verge, the Note 9 will start at $999 for the 128GB / 6GB RAM model, and rise to a 512GB / 8GB RAM version for $1,250. The Galaxy Note 9 will be available starting on August 24, with Samsung making the product available earlier than usual in a bid to capture more sales this year. In its most recent earnings report, Samsung reported disappointing sales for its new Galaxy S9 smartphone. The company's focus on its ecosystem and complementary line of products at this year's Unpacked likely reflects the difficulty that both Samsung and Apple face in coming out with new upgrade-worthy smartphone features every year. Samsung's mobile chief, DJ Koh, who served as the main presenter at Unpacked, acknowledged as much towards the end of the event when he talked about Samsung's goal of continually enhancing its customers lives with its products. "It's not easy every year, frankly speaking," Koh said.